By Mario Alexander on February 1, 2019. Photography is among the most promising hobbies that can earn you a living. Whatever you see and anything that happens around is an opportunity for you to take a snap and make history. In photography, a person's educational qualification does not really matter as long as you can spot and capture great images of things around. 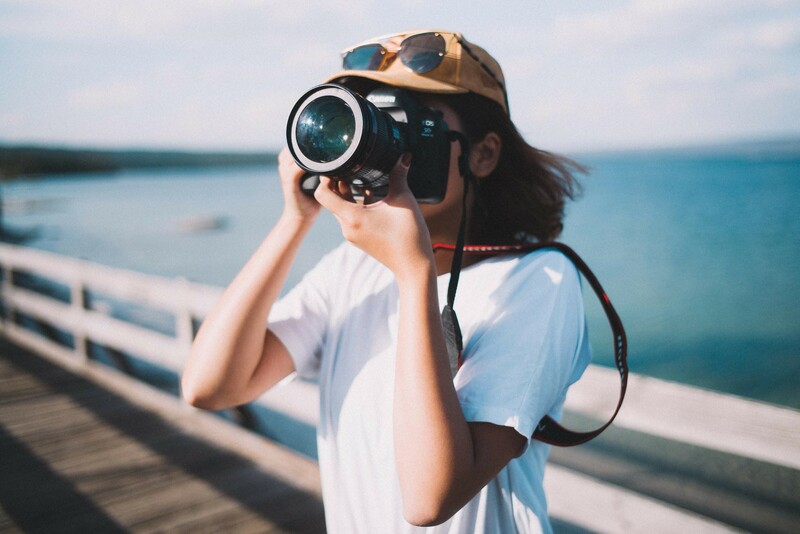 However, if you are willing to take photography as a hobby and still use it as your primary source of income, here are some of the best ways to start. The easiest way to start and nurture your career in photography is taking part in activities that happen locally. Take your time to capture everything that happens and also share them with friends and family. Photography is all about memories and making a lasting impression regardless of the format you choose to use from digital to permanent print photos. Photography hobby will eventually grow into a career hence give you the results of the efforts invested. Additionally, through taking pictures and recording events as they unfold, there are higher chances that you will sharpen your skills. In other words, this might be your open opportunity to venture into something much bigger. While others concentrate on essay review in molding their career, all you will do is take your camera and be on the move. Additionally, taking photography as a career guarantees that you can view an event in another dimension. What makes photography exciting and different from any other hobby is that it builds on a person's creativity. Whatever captures your attention and attracts you qualify to be used in photography. Unlike other professions, this one is all about what comes to your mind. Nothing can prevent you from achieving greatness regardless of society's response. If you an out-goer and market yourself right, photography is a fun-filled hobby. For starters, all jokes aside, you will have to use super amazing gadgets that are highly addictive. This profession beats all other jobs and guarantees that there is employment anywhere. If you decide to do real photography, you will interact with people from all walks of life without regardless of your academic qualifications or status. What you have to remember, though, is that to become a real professional, you will have to learn a lot. Some people understand this early, and start their path while still in school. The problem is that balancing between a hobby that will feed you in the future and the issues that directly affect your current life is hard. Some find solutions in using help from an essay writing service to release some time for extracurricular activities, you can search for review of Edusson.com to learn about the history of photography or to get a review of the top photographers' works to get the idea of how to become a real professional. You can browse forums and social media to make up your mind about what you want and what you like. There you can find pieces from fellow colleagues and learn from them. And don't be repelled by students writing if you run into some – sometimes students can tell you much more about certain things. So, as you see, there are many ways you can use, and it's only up to you, what to choose. You can either learn or navigate your way around this industry with basic learning knowledge. Taking pictures can either be a talent or something that you find pleasure doing. Most photographers are self-taught, and they still are the best in the job. Everywhere you go, there is an opportunity to make great hobbies from what you see. Regardless of how small or big something is, if you have a camera by your side, every experience can turn into a lasting memory. Therefore, with the little information, and a good camera, your talent/hobby will gradually grow into a multi-billion idea. For instance, you can capture a domestic on camera print the image and sell it as a sign of promoting different animals. When you embark on photography as your primary source of income, it will enhance your brain growth. Your memory is subject to develop depending on what you feed it on a daily basis. Therefore, if you take on photography and you have zero information on how to do things, the best thing to do is learn on the basics of that art. Additionally, the more you exercise on taking pictures, your brain will eventually get the concept and start to visualize on the essential aspects of the career. Therefore, your mind will have the ability to identify things that are worth capturing even from a distance. In photography, one thing for sure is that you will have to get out of your comfort zone and be on the move. If you have a problem walking and hiking around looking for a good snap, then you might need to find another profession. However, if you venture into this career, keeping fit and leading a healthy lifestyle will automatically become your benefit. First, the camera and lenses have a substantial weight, and that weight will be quite tangible, especially when you start hitting the road more often. Altogether, be ready not only to sharpen your eye but also to build muscle and become stronger. Secondly, depending on the type of pictures you take, there are higher chances that you will have to go to distant or hazardous places to do your job. Stop wondering around thinking of what you can do to support your hobby and give you an income. Photography can help you achieve your dreams and enhance your life into greater heights. However, if you are not sure of, which genre to venture into, ensure to take your time and learn a few skills about the job. This will guarantee that you develop your hobby and also enjoy traveling around the globe.